Flying Fish Cove is the main settlement on Australia's Christmas Island. It also is the name of a Seattle indie pop band. What the two have in common, if anything, is unknown to us (as, admittedly, are many other things), but as this is an indie music blog rather than a travel blog, I think you can guess which Flying Fish Cove we will address herein. Flying Fish Cove is a relatively new band, probably not having celebrated a second birthday yet, but they have a distinct summery, jangling sound that should draw comparisons to Heavenly. And as far as we are concerned, that sound is just ... well ... heavenly. Their introductory self-titled EP consists of four tracks showcasing the band's bouncy indie pop style, with plenty of vocal swoops and changes of pace. Based on the evidence here, this is a band that can take a venerable and well-established genre and invent their own delightful twists. 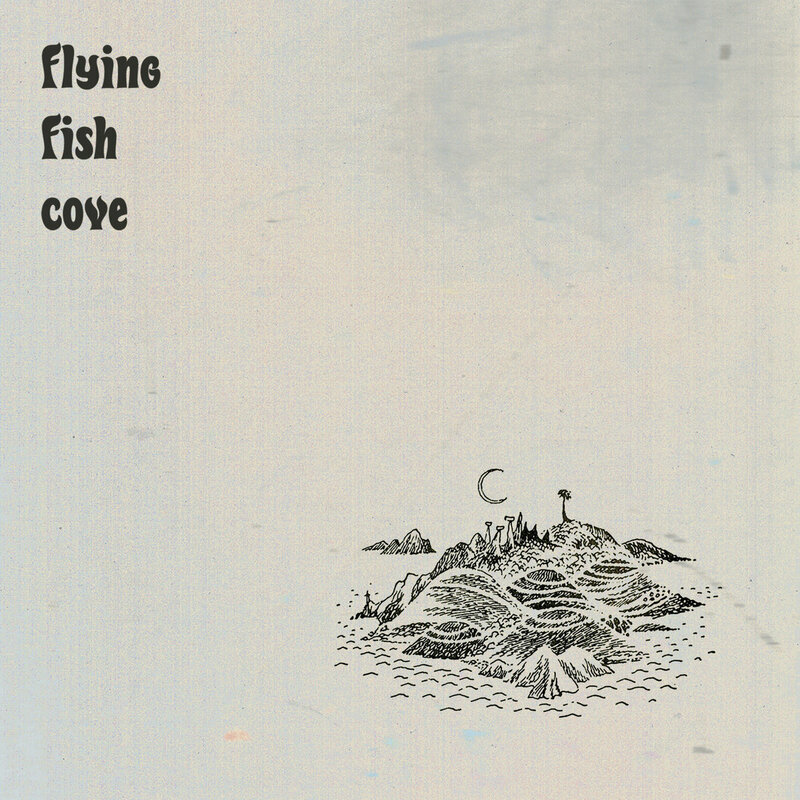 The EP is a true delight, and we look forward to more from Flying Fish Cove. The members of the band are Dena, Jake, Sean, Chris, and Jacob, augmented by Star, Lydia, and Jade in the studio. Flying Fish Cove EP is out now in digital and CD formats via Jigsaw Records.